EXTREMELY IMPORTANT: TGCA has completed the process of revamping Cheerleading nominations. You will no longer access the nomination forms through the Membership Site, but will use this page when submitting your nominations. Simply click on "Nominate Athletes" for cheerleader nominations and "Nominate Coaches" for All-Star Coaches and Coaches of the Year in the menu on the left-hand side of this page. If you have already done nominations through the Membership Site, they will need to be redone to fit the new format. Cheerleading and Spirit Group updates have been issued by the UIL. Click here to read the updates. Click here for some commonly asked questions and answers regarding cheerleading safety, provided by the UIL. 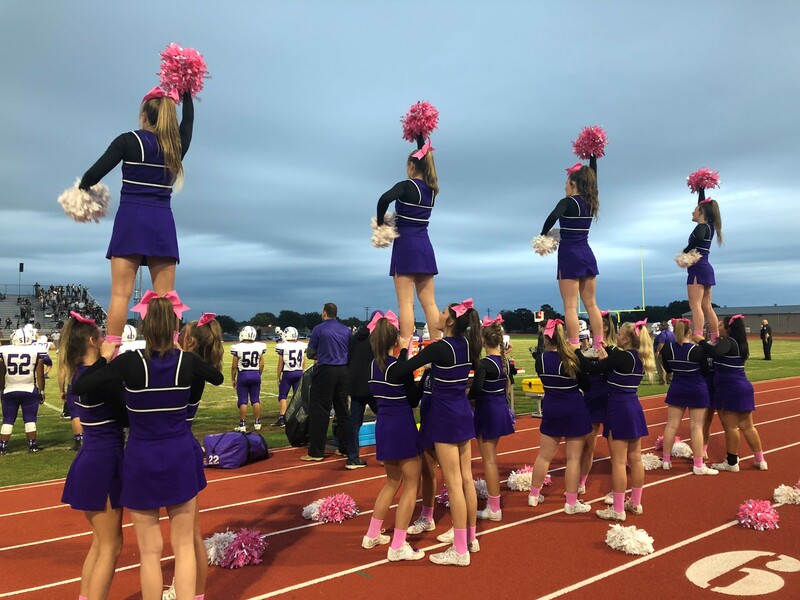 Click here for a cheer presentation regarding UIL rules and state law, issued by the University Interscholastic League. The Texas Girls Coaches Association, in partnership with Texas Health Ben Hogan Sports Medicine, is offering, FREE OF CHARGE, the training required by H.B. 2038. Coaches were required by state law to complete two (2) hours of concussion training no later than September 1, 2012. In addition, coaches are required to complete two (2) hours of additional concussion training every two years. The Texas Health Ben Hogan Sports Medicine group is certified through the TEA and approved by the UIL to offer the concussion training course. Through the website of the Texas Girls Coaches Association, this course is being offered online at no cost to all coaches. A test must be passed at the completion of the course. If the test is passed, the coach will then be able to print a certificate of completion that can be filed with their school. Please proceed to the following link to begin the training. Once you have accessed the link, click on “Texas Coaches Concussion Training”. 1) It brings you under the umbrella of the TGCA name and reputation. 2) You will receive the invaluable injury prevention training that is now being required, along with various general lectures on many topics, and including hands on workshops at the Spirit Division Summer Clinic. TGCA is certified by the UIL to offer the injury prevention training now required. 3) TGCA offers honors for All-Star, All-State, Academic All-State, Cheerleaders of the Year and Coaches of the Year to those cheerleaders and their member coaches who meet the TGCA criteria, which gives an opportunity to honor cheerleaders for their accomplishments. Also, UIL State Champion coaches who are members of TGCA by the November 1st deadline will be presented state champion rings courtesy of Balfour at the annual TGCA Honor Awards Banquet during Summer Clinic. 4) You are automatically afforded a $4,000.00 Accidental Life and Dismemberment policy through American Income Life Insurance Company at no cost to you. 5) You are afforded personal representation before the UIL and the state legislators on matters affecting all member coaches under the TGCA umbrella. 6) You will receive a TGCA membership card, which will allow you access to most sporting events, depending on the venue and district rules. 7) We do an on-line Newsletter publication that runs from September until May that features photos and articles and important information to all of our coaches. Cheerleading is featured in the January issue each year. 8) We offer a Job Placement Center only for our member coaches that is on-line through the Membership Site. These are just a few of the reasons why becoming a member of TGCA will benefit you. Should you have questions, or if you would like more information, please contact us at 512-708-1333, or by e-mail at tgca@austintgca.com. All nominations should be done from this page selecting from the categories in the menu on the left-hand side of the page.